A large-scale corporate building at a prime location, this centre provides both luxury office space and self-storage solutions. With office suites ranging from 650 sq. ft. - 3,000sq. ft. Tenants of this centre can use boardroom facilities from Glasgow to Derby, at no extra cost, providing the ability to hold meetings with clients in any location. With rent, service charge, electric and building insurance all included in the price, it's easy to see why businesses in and around Glasgow are flocking to this business centre. 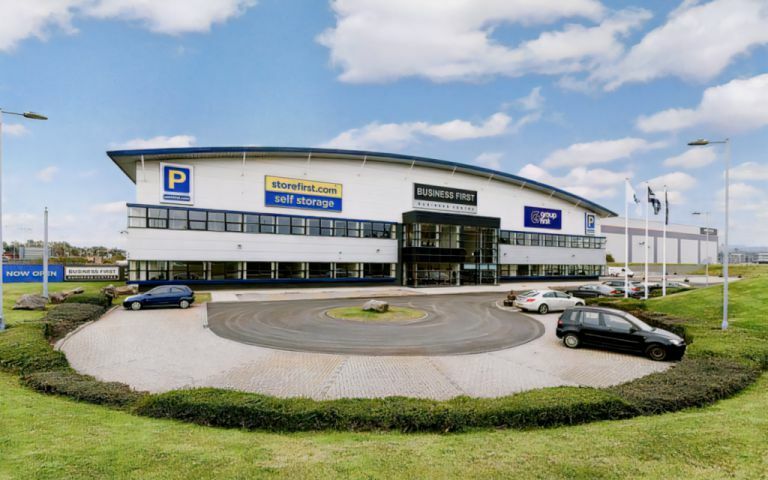 Located just off the A737, on the main roundabout, this prestigious business centre is set back from the busy motorway in its own grounds, with ample, secure car parking facilities. A vast array of local amenities are located behind the business centre, including popular eateries, hotels, entertainment facilities and retail parks which are only a short walk away. The centre is also close to fantastic public transport links.